John the Baptist, last of the Old Testament prophets, takes up Isaiah’s and Malachi’s announcement of the Good News in the style of Elijah. As Isaiah 40:3-5 (above). It was not unusual for interpreters to treat Scripture as a seamless whole around a common phrase such as “prepare the way” and this quotation also includes Malachi 3:1 . 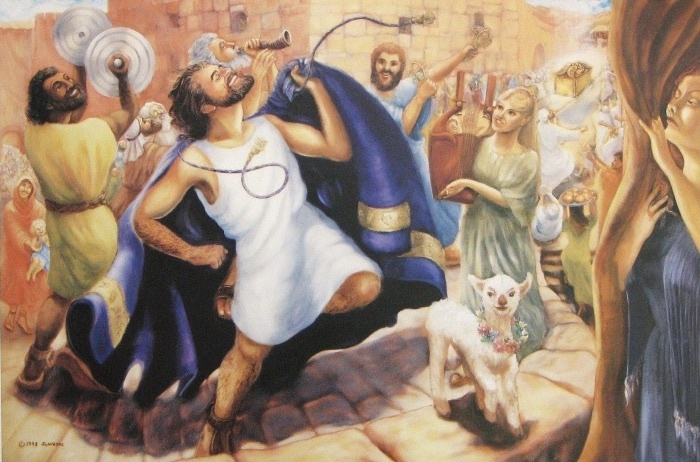 4-5 And so John the Baptist appeared in the wilderness, preaching a baptism of repentance for the forgiveness of sins. ‘The wilderness’ and ‘the Jordan River’ might seem to be inconsistent. In this part of the Judean wilderness a narrow fertile area around the river is surrounded by rugged and inhospitable terrain. Jewish people were used to the idea of repentance – and also knew various rituals for baptism including baptism of Gentiles who converted to Judaism, where it signified a turning to a whole new way of life. John’s assignment was to prepare the way for Jesus by clearing obstacles. The main obstacle? Proud, unbelieving sin. So John told his hearers to repent (turn) and recognise that the kingdom of God – God’s righteous rule and order – was at hand, Matt. 3:1-3. Jesus came with exactly the same initial message, Mark 1:15 . Baptism does not achieve repentance, but brings an impartation that seals the change of heart. This impartation is seen clearly in Jesus’ own baptism by John with a visible sign of the Holy Spirit – the dove, Matt. 3:16, Mark 1:9-11. The “One more powerful… who will baptize… with the Holy Spirit” is John’s allusion to Jesus, who was John’s cousin. John’s whole purpose was to prepare people through their repentance, and point them to Jesus. Malachi, whose prophecy is implied here, referred to the one who would come like Elijah, Mal. 4:5-6. Readers of the time would have seen the connection in the description. Elijah was not a priest or a court prophet in robes, but quite the opposite – an outsider. John is showing himself to be standing apart from the establishment, a voice from the wilderness proclaiming a way in the wilderness which was like a new exodus, a move of God which was about salvation and restoration for His people, Isaiah 43:16-21, also Isa 11:16, 19:23-25, 51:10-11 etc. This was a season for Jews of faith to reflect on what they needed to put right with God, in preparation for the move of God which John’s preaching was alerting them to. There are seasons for us to reflect and ‘clear our own roads’ for God. The allusion to the Holy Spirit is important. To make room for more of Him, we have to identify the things that need to go! Before the gospel writer John tells us much about the Good news, he tells us how it works. It is all about Jesus, the ‘Anointed One’ or Messiah, who will baptise [drench us] not just with water but with the Holy Spirit. The Holy Spirit is God and He is holy; He empowers us to be a bit different in a good way, showing others the character of God – in short, how we as humans can be ‘set apart’ and holy, while engaging with a world which is frequently the opposite. This is how we do it – by turning to Jesus and allowing ourselves to be empowered by the Spirit of Jesus. It doesn’t work any other way. 5. Is this turning to Jesus one particular, memorable life event? Or are there many turnings, some particularly life changing and significant, others which are more of a regular course correction?